Our fleet of club aircraft for members and visitors to fly. 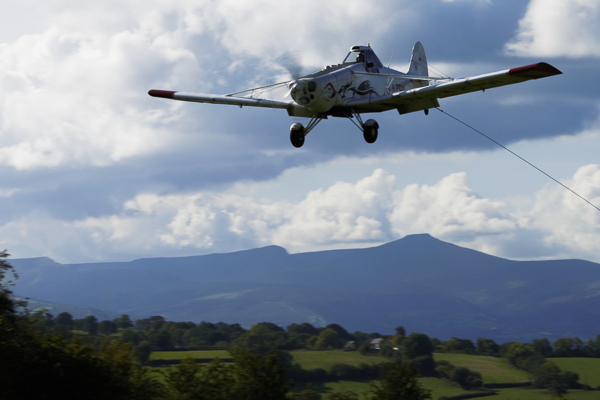 The mainstay of our training and air-experience flights. 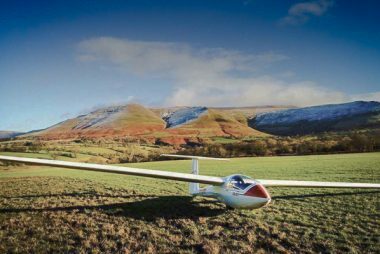 It’s an older design but these robust yet light handling two-seater gliders are superb for teaching people to fly. From those first training flights through to extended wave and ridge flying. 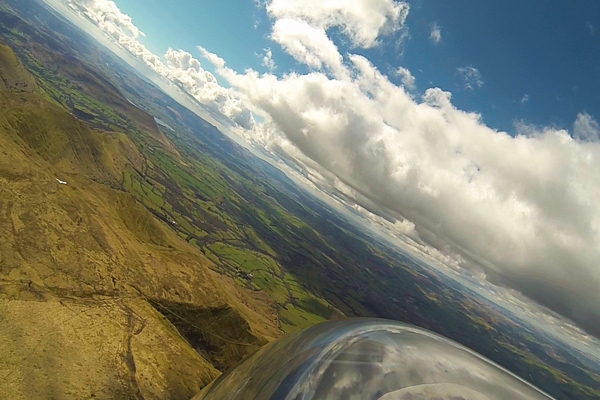 They also climb very well in thermals, nearly always out-climbing some of the club members’ high-performance gliders. They’re comfortable, roomy, and with a great all-round view, which makes them excellent machines for air experience flights. We have three! They’re meticulously maintained at our on-site maintenance facility. 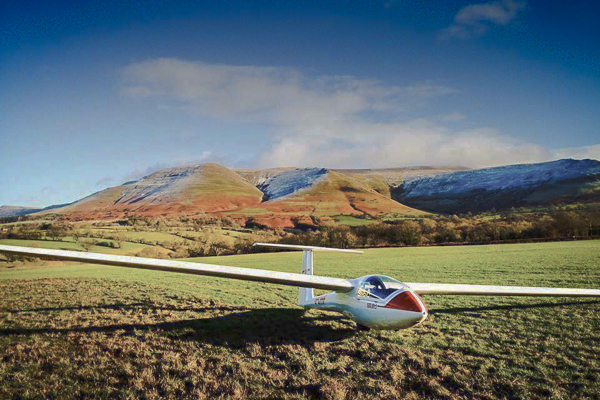 The Ka6CR is probably the first single seat glider that you would fly solo at Talgarth. It’s of the same generation as the ASK13, the seating position is similar and all controls and flying characteristics are broadly the same. It’s a bit of a classic and has delightful handling and control. 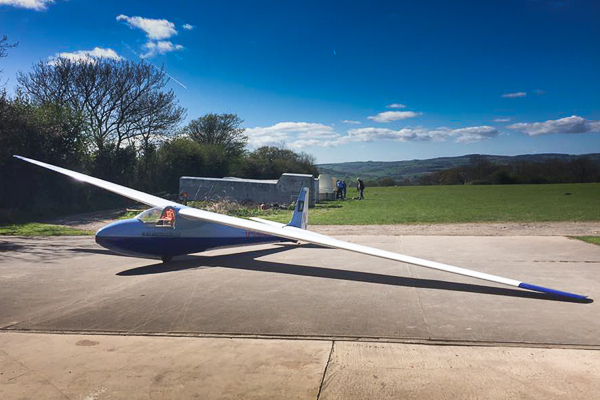 A popular glider with members and visitors alike. 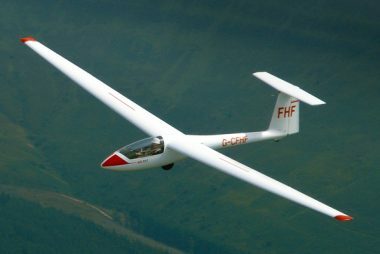 The single seat SZD ‘Junior’ provides progression from the Ka6. Easy, secure handling and vice-free flying characteristics. It’s often the first single-seat glider flown where the pilot has solo experience in the ASK21. 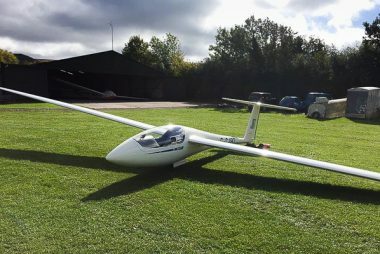 It offers significantly higher performance than the Ka6 albeit at the lower end of the single-seat glassfibre glider spectrum. ‘Bravo Tango’ is a relatively new addition to our fleet. 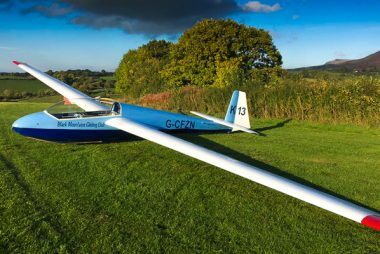 Members and visitors wanted a club-owned glider that had real cross-country performance. The ASW19b fits the bill. 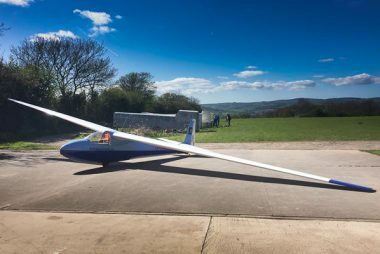 It’s easy to operate being a flap-less, ‘Standard Class’ 15m wingspan glider. It handles well and is equipped with an Oudie and FLARM. It can also use the club’s ‘portable’ Oxygen system for those gold and diamond wave flights. A glance at the national BGA cross-country ladder shows what can be achieved in an ASW19b with a couple of 500km+ flights and another 20 or so 200km+ flights in 2018. G-AZPA is the Club’s workhorse. It’s our main means of launching gliders. Black Mountains Gliding Club was the first in the UK to adopt this powerful, single-seat utility aircraft for aerotowing gliders. 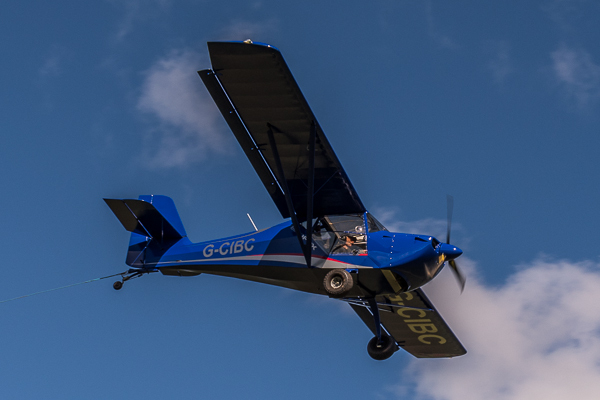 Its 235hp engine, with a propeller optimised for climb rates and noise reduction, gets gliders airborne quickly. It’s very popular with glider and tug pilots. The club has a second Pawnee, ‘Daisy’. This is kept in reserve for when G-AZPA is ‘off-line’ for maintenance and is kept in airworthy condition.